I'm a "fanilow". And it turns out that Barry Manilow is going to be performing at Mohegan Sun in May (which is less than an hour from me)! I was really excited about this until I saw that decent tickets are selling for $300+ PER TICKET. 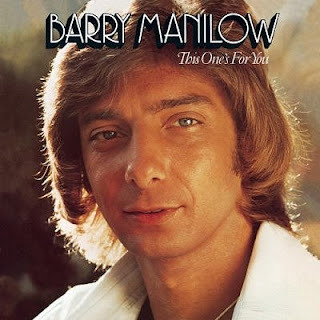 If I want to get close enough to really live the Manilow Experience - where Barry actually sees my "I Love Barry" T-shirt, and I cry along to "Weekend in New England" while fellow Fanilows hold vigil with swaying lighters. ...then we all vie for a shot to get on stage to dance with Barry to Copa Cabana - well that'll cost upwards of $500 PER TICKET. I mean, don't get me wrong - is Barry worth it? Yes! However, justifying this purchase is hard, considering I have seen him in concert 3 times now - one of those times was in Las Vegas sitting in the 7th row. Barry rocked....obviously. I got to shop for cool Barry paraphernalia at the Barry Manilow store they had set up in the Las Vegas Hilton where Barry was headlining for several years. I even played the Barry Manilow slot machines in the casino. It was the full Barry experience - in Vegas, no less. I bought and read his memior, "The Sweet Life: Adventures on the Way to Paradise" on the plane on the way home. Yes, my Barry-o-meter was at 10. A satisfying trip, indeed. One of my tributes to Barry was naming my car - a 2000 VW BEETLE - Mandy. I name all my cars. Mandy was a perfect name for the Beetle...she & I enjoyed 4 years of fun and lots of Barry's greatest hits before she was traded in ahead of my daughter Lauren's arrival for a more "child friendly vehicle". I was also lucky enough to see Barry perform 2 more times in Boston, and enjoyed several years as a member of the BMIFC. Not sure what that is? Well then obviously you're not a Fanilow, and I highly suggest googling it asap. Educating yourself is the first step in your journey to becoming one with Barry. He does, after all, write the songs that makes the whole world sing. So back to the question at hand - can I really justify this purchase? Yes I can. Just kidding. Well I can but I won't. (Unless someone out there would like to take me as their guest...just sayin'. I'll buy you a really cool souvenir - like maybe a keychain that says "Fanilow"???? Hmmm??? An authentic tour t-shirt from Barry's 1978 North American tour? Any takers??) Anyway, I'll have to sit this one out and hopefully he'll play in a larger venue around here where tix are cheaper and I won't have to remortgage to house to buy tickets. And on that note, Looks Like We Made It (to the end of this post). Rock on, Barry!